It’s so nice to be able to see what a mistake a design would be without investing more than a couple of minutes to sketch it out. Here’s the back of a jacket that I think has some potential. 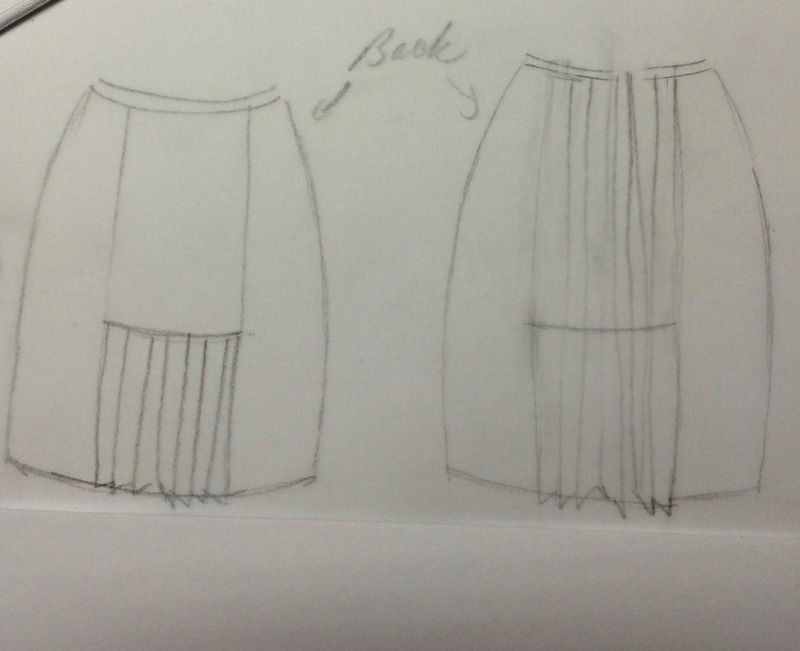 The pleats would be stitched down with topstitching above the belt detail. 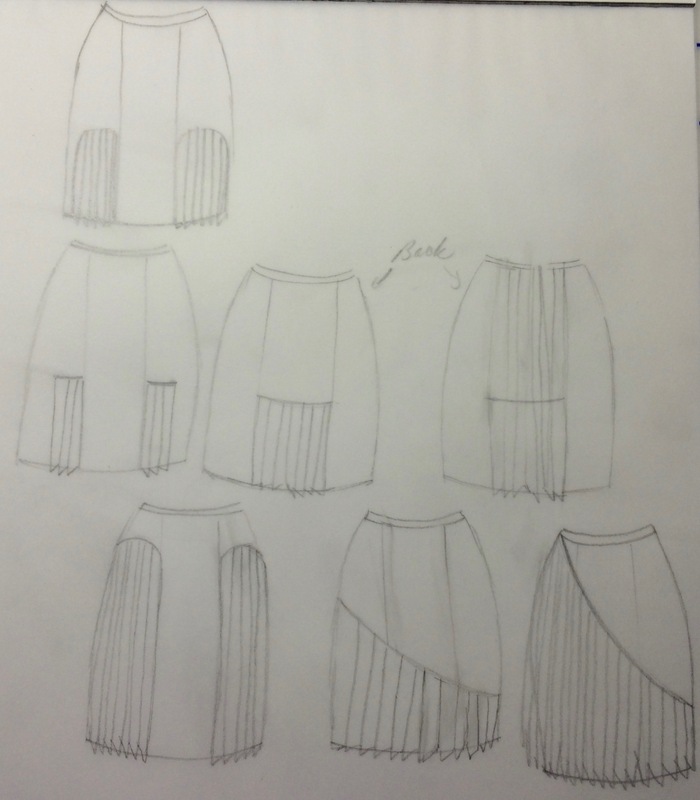 I tried out several different skirt designs to go with the jacket and erased them all. Then I tried out these for the back of the skirt only. 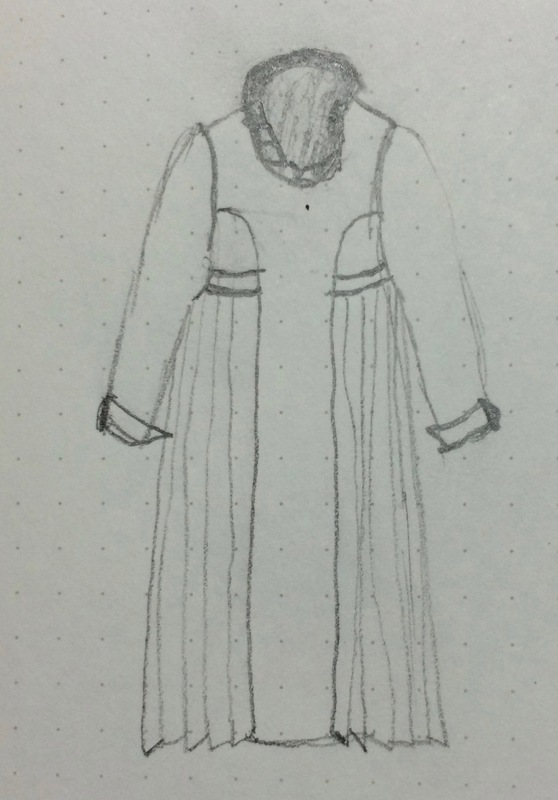 I need to let this percolate through my brain some more before deciding about the skirt. 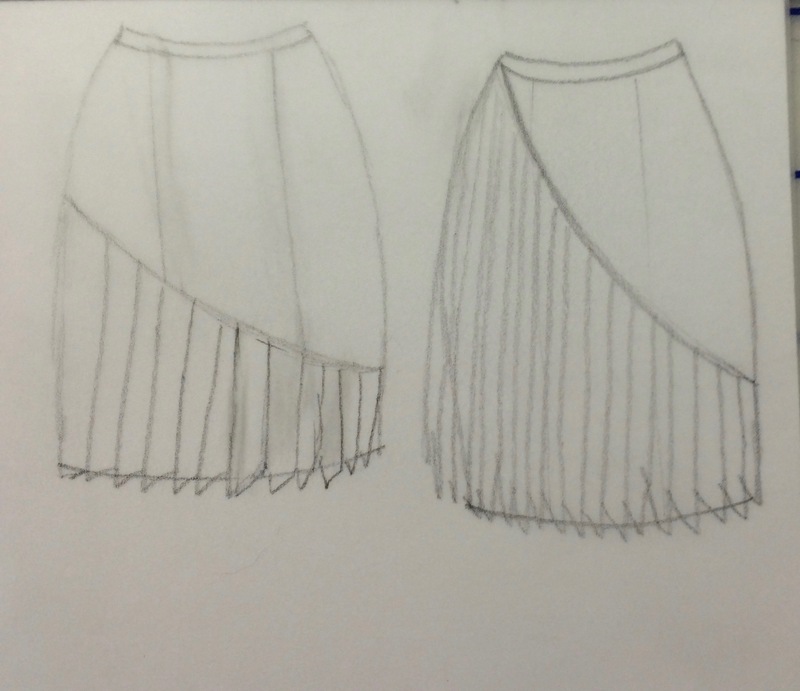 I added other skirts that have nothing to do with the jacket design. I’d love to hear what you think about these and about what you’re sketching. 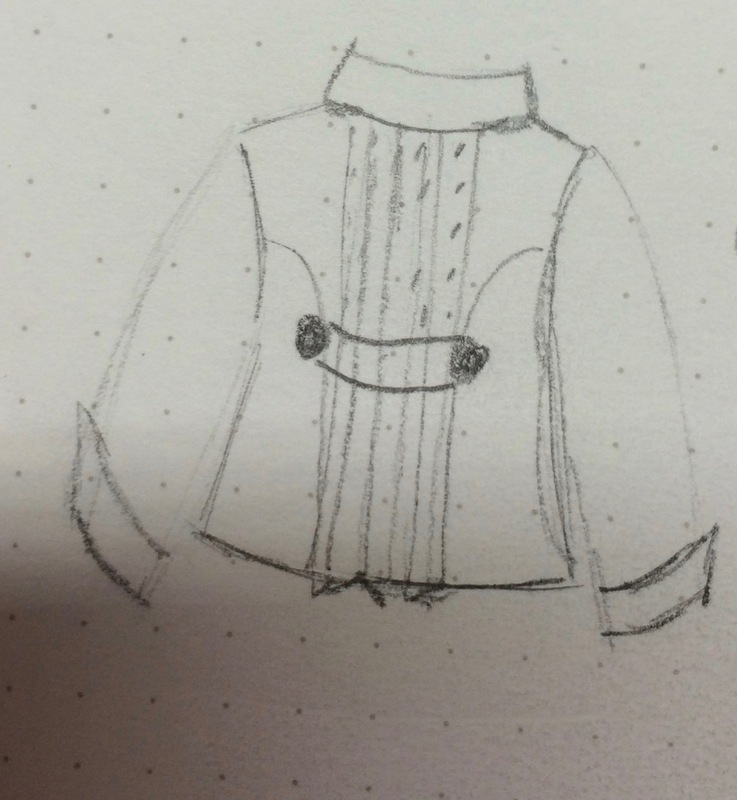 Be sure to check out what’s in Steph’s sketchbook at 10 Sewing Machines & a Serger.